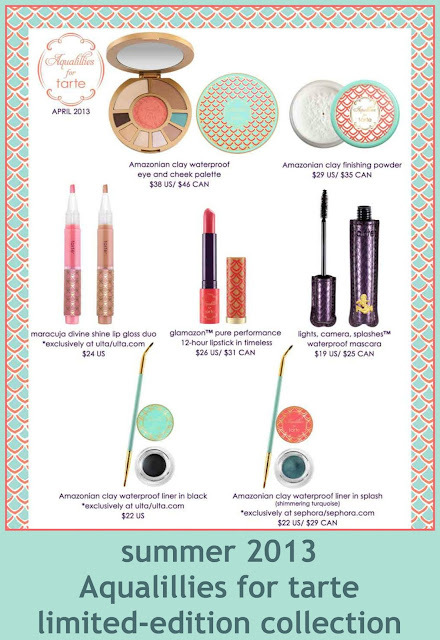 Tarte Cosmetics introduces their Summer 2013 Aqualillies for tarte limited-edition collection (available for a sneak peek on tarte.com on Monday, March 25th) available at all retailers in April. Inspired by America’s most glamorous synchronized swimming group, the Aqualillies, this limited-edition collection includes seven splashproof products. Can't wait to see the swatches! !